Millions of people scour the Internet each day for all kinds of information. Sure, your website should tell visitors what it’s like to be one of your patients. But it should also be a portal of information for people who are looking to improve their health through chiropractic care. Say that you’re looking to buy a new TV, but the rapidly changing tech field has passed you by. You might search in Google to figure out what options are available. You peruse some articles from a few tech bloggers and then make a purchase based on their advice. This wouldn’t be much different from a prospective patient who is looking for a solution to back pain. The only way you become the solution is if you are the source of that information. Blogging is like a “give and take” relationship. You provide free education to prospective patients with the expectation that they might become interested in your practice. Nearly 40 percent of U.S. businesses use blogs to gain new customers. Blogging improves credibility by showcasing your knowledge of natural health. Your blog is a forum to offer a unique take on common patient concerns, frequently asked questions, and the latest trends in chiropractic. Through this content, you validate your skills and establish yourself as an authority in the field. Blogging is a great way to improve the search engine optimization (SEO) of your practice website. Just like other pages on your site, new blog articles will be indexed by search engines, which is where prospective patients spend most of their time looking for health information. Google prefers websites that are updated regularly, which is why more indexed pages often translates to higher rankings. Social media allows you to share new and interesting content with your followers. Whenever you publish a new blog to your site, you can share it on Facebook, Twitter, and other social platforms. 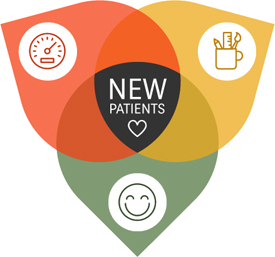 This helps you stay in the minds of current patients, while encouraging them to pass your insight on to their peers. Positive social signals may also improve your SEO. Therefore, be sure that your website has social sharing buttons, so readers can share articles directly from your practice website. Your blog creates a two-way conversation with your existing patients, current patients, and industry peers. It’s a way to encourage interaction and patient feedback. You can inspire readers with interesting content while providing a unique perspective on your chiropractic philosophy. Once your blog is generating visitors, you have an opportunity to convert those visitors into new patients. As visitors read your content, you begin to establish trust. This makes prospective patients more inclined to learn about your practice and ultimately schedule an appointment. He fills out his information and schedules an appointment! Blogging not only attracts the attention of new patients, it deepens your connection with existing patients. Your website becomes the go-to source for all their chiropractic needs. Providing ongoing education promotes top-of-mind awareness, which will improve patient retention and generate more referrals. Your blog is a platform where you can express your views on all aspects of health. What are your philosophies on treating whiplash injuries? What would you recommend to a patient who looking for natural back pain relief? What are your views on pre-natal chiropractic? By blogging about these topics, you can attract like-minded readers who could potentially turn into patients. Whether you hire a service or perform the writing yourself, blogging is a cost effective marketing channel. It’s a low-risk way to position your practice as an industry leader, while differentiating yourself from the crowd. New offers, community events, and other timely information are great to post on your blog. Doing so keeps your patients informed of the latest developments with your practice. Are you hosting a charity event? Do you have a new staff member? These are timely topics your patients will find interesting. 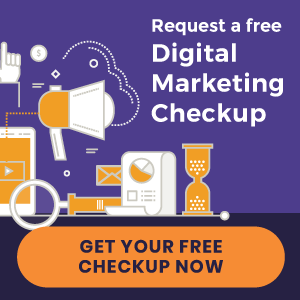 Unlike other traditional chiropractic marketing channels, your website works 24 hours a day, 7 days a week. Whether you’re working out at the gym or vacationing in Hawaii, your blog never sleeps. It’s always working behind the scenes to produce new patients. Let’s say that today you write a new article. You post the link on your Facebook page and over the next week you get three interested prospects. Two weeks later you include the article in your monthly newsletter, driving existing patients to your site. They share it with their friends on Facebook and you get three more interested prospects. It doesn’t stop there. Once your article is ranking in Google, for weeks, months, and years you’ll capture the attention of prospects from that single article. Ready to start your practice blog? It’s easy! Download our free eBook below to discover how your blog can attract and convert more new patients from your website.